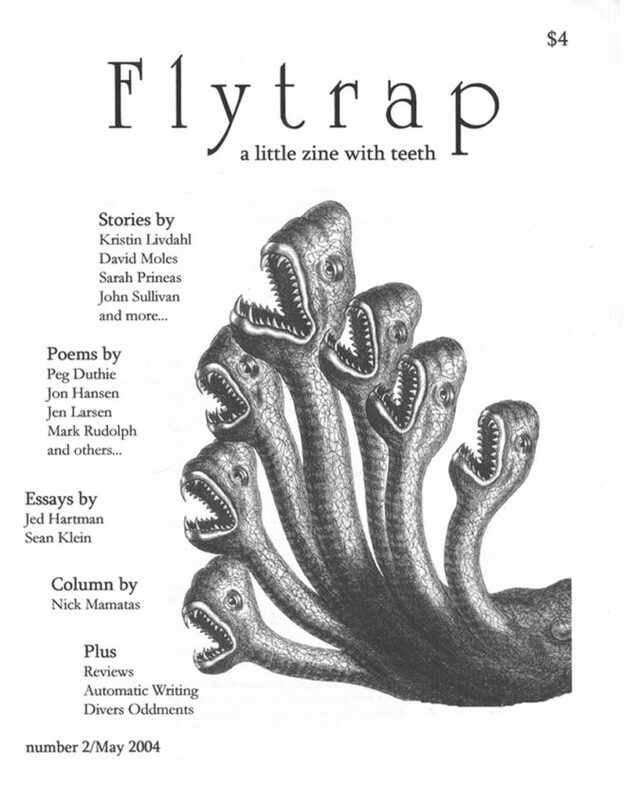 A short story about visiting interesting, faraway places appeared in the second issue of the print magazine Flytrap. It prompted one reviewer to go so far as referring to the author as being “like some new avatar of Lewis Carroll,” which is a lot to live up to. When I woke to find my clothes almost entirely unraveled, I knew it was time to leave the Labyrinth City. The thread traced my previous night’s path: from the ragged edge of my robes to the thoroughly be-gargoyled bedpost; from the bedpost to the chipped enamel washbasin; from the washbasin to the doorway where Nerville, my visitors-bureau-appointed guide stood, the smugness of his smile not quite lost in the whorls of his tattoo; from the doorway out through the hostel’s corridors and beyond, through the city’s streets and parks and alleys, all the way back to the city’s only gate. When I’d nailed the far end of the thread to the gate’s time-bleached gray wood, Nerville had said I’d have about a week, if I went slowly, if I considered and conserved my steps. That was seven days ago.In that week, I’d done all the tourist things. I’d seen new colors invented in trendy little galleries near the Lunarium, whispered mobius-loop conversations to myself in the Soliloquy dome, launched over-complicated origami lotuses on the stagnant waters of the reflecting canals. My tourist robes had unwound behind me all the while, Nerville supplying the occasional tug whenever the line snagged. He’d watched me with an unlimited, if forced, patience, making suggestions whenever I seemed ready to wander in a particularly foolish direction.